For today’s Spotlight Saturday we would like you to meet George Wiredu! 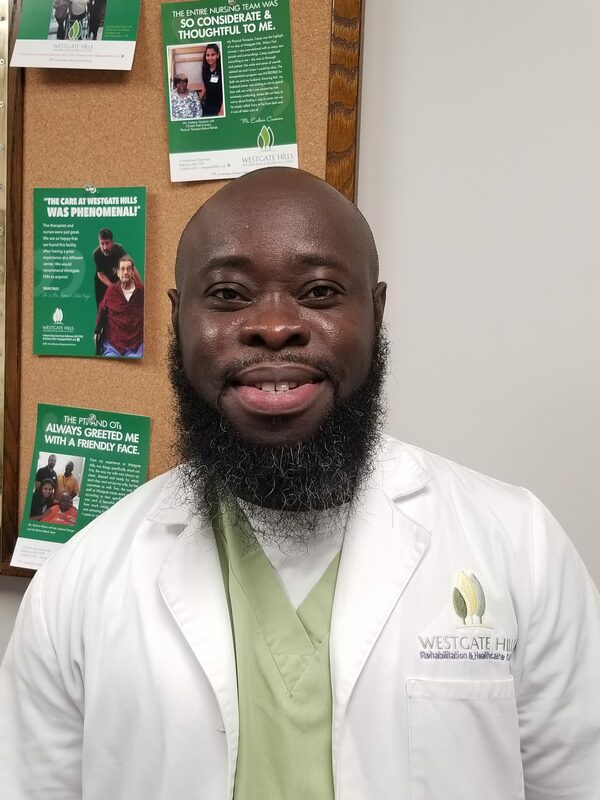 Growing from his position as a floor nurse to Unit manager of our long term care unit, George has now been at Westgate Hills for the past 5 years. In his spare time, George loves to cook and play football. George has gained a lot from working at Westgate and says that the support he feels from his coworkers is important, contributing to the satisfaction he receives from his daily work.